In Australian media news this week, XtrackTV train station advertising launches, Lotame introduces its Cross-Device data management platform, YouTube’s fastest growing channel, Vice News, is opening an Australian branch, Commercial Radio Australia’s new trade campaign and Jonesy and Amanda win FM radio’s best on-air team. Samsung, Virgin Mobile, Nib Health Funds and 2K will be some of the first brands to show their video advertising at train stations when APN Outdoor’s XtrackTV network of digital screens goes live in Sydney and Melbourne today. The network of 62 LED screens will play a series of advertisements on a 2.5 minute loop, aiming to captivate commuters while they wait at train stations. APN Outdoor is encouraging advertisers to use the platform to extend their campaigns beyond television, cinema and online. Train stations to feature the screens will include Sydney’s Bondi Junction, Edgecliff, Kings Cross, Martin Place, Town Hall, Central, Wynyard, North Sydney and Chatswood, and Melbourne’s Parliament, Flagstaff and Melbourne Central. Lotame has launched Cross-Device, a data management platform that uses algorithms to create links between desktops, smartphones and tablets. The technology will enable advertisers and publishers to create rich, cross-screen audience segments, addressing the challenge of device fragmentation. Cross-Device is based on the technology developed by AdMobius, the San Mateo-based company that Lotame acquired earlier this year. the collection of cross-device consumption patterns, which can be used to deliver custom content and increase engagement. Vice Media’s YouTube channel, Vice News, is expanding into Australia and six other international markets. Since launching in the UK and US in March, the brand has taken the title as YouTube’s fastest-ever growing news channel. Vice News will launch local language newsrooms in Australia, Germany, France, Italy, Spain, Brazil and Mexico. The Australian editorial team will launch with a news editor and writing staff, to grow over the next six months. The channel will chase the stories that matter most to its audience of young people, rather than sticking to the traditional news cycle. The UK and US edition has covered stories on topics including the fight against ISIS, the Hong Kong protests and West Africa’s Ebola epidemic. The channel will employ the “latest in cutting-edge technology”, having already used livestreaming, drones and Google Glass to tell its stories. 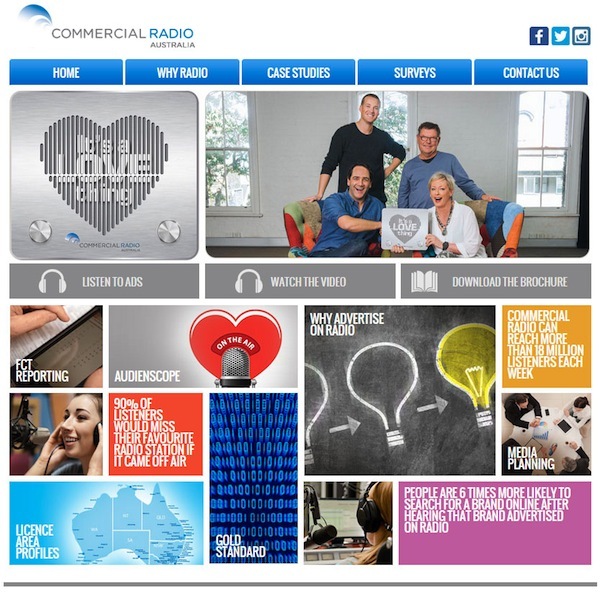 Commercial Radio Australia has unveiled its $25 million radio brand campaign, ‘Radio. It’s a Love Thing’, based on research that found people were nine times happier when they listened to radio and more open to advertising messages on radio than in other media. The campaign features an exclusively-written song, ‘Love Thing’, co-written by Eardrum and Australian band No Pictures. It will begin with a series of four radio ads featuring The Chaser’s Andrew Hansen, to air across 260 commercial radio stations. The campaign will also include video content of personal anecdotes and insights from high profile talent and commercial radio listeners, as well as station and trade banners. The research, conducted by Colmar Brunton, investigated the correlation between radio and happiness levels, openness to advertising and search and purchase behaviour. It found that 67% of respondents said they were open to advertising messages, and that search and purchasing increased by 40% for brands that advertised on radio. 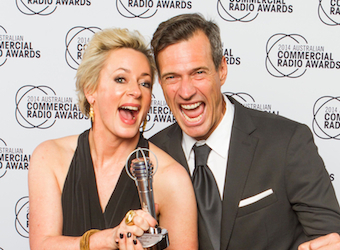 Sydney breakfast radio duo Jonesy and Amanda have won Best On-Air Team (Metro FM) at the 26th annual Australian Commercial Radio Awards (ACRA). Amanda Kellar and Brendan Jones, of WS FM 101.7 Sydney, have been on air together for nine years. This is their second Best On-Air Team win, after also taking the award in 2012. 3AW Melbourne’s Ross Stevenson and John Burns took the award for Best On-Air Team (AM), for the third time after also taking out the category in 2011 and 2013. 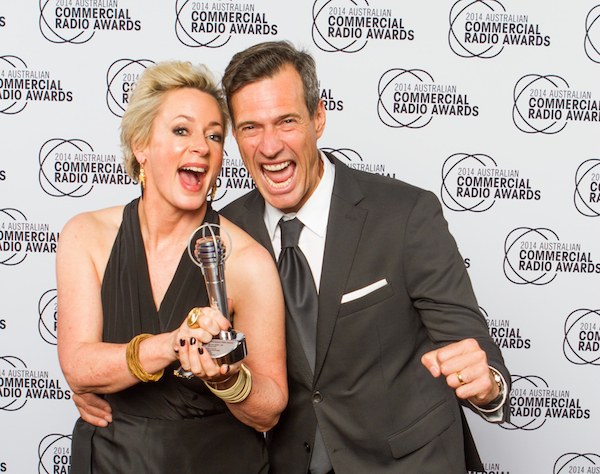 Southern Cross Austereo director Peter Harvie was inducted into the Commercial Radio Hall of Fame for his outstanding lifetime contribution to the radio broadcasting industry after 45 years in advertising, marketing and media.